A design system only comes to life when it’s used to create meaningful experiences. The Material Design Awards recognize best-in-class achievements in employing the Material Design system, and honor the makers behind each design. For this, our third annual Material Design Awards, we decided to do things a little differently by opening the nomination process to the public. We wanted to reach back out to the community to help us find the very best, because there is so much excellent work being created. After reviewing hundreds of submissions, we're proud to announce the winners, who will be joining us to celebrate at the SPAN Pittsburgh conference on September 14-15. Read on to learn what makes each of these experiences great. In Blinkist, the brand identity is brought to life through an engaging and harmonious use of iconography, motion, and especially typography. The type layout establishes clear hierarchy while maintaining a reader-friendly presentation through the comfortable use of whitespace. The presentation is further enhanced by clear, simple text labels. The end result is a reading experience which is distinct and engaging. "Creating a truly enjoyable and rewarding product for our customers is what fuels us to improve the Blinkist experience. We've always believed that a major component in achieving this is beautiful, functional design that keeps our readers at its heart." Blinkist offers 15-minute summaries of over 2,000 bestselling non-fiction books. For each book, the app provides written and audio-recorded overviews and lists the book's target audience. A clean layout with highly legible type makes the app easy to peruse. Through clear structure, navigation, and use of affordances, Eventbrite Organizer deftly streamlines the entire event management process from creation to conclusion. The app delivers efficient support for the many tasks an organizer is responsible for, without ever leaving the user overwhelmed by options. Everything a busy event planner needs is present and accessible in just a handful of touches. "Eventbrite Organizer uses custom interactions for onboarding, checking in and scanning attendees, and purchasing tickets to provide event planners with a delightful experience. We've used animation to remove steps in the event creation process and to help make the experience more frictionless." Eventbrite Organizer is a one-stop shop for on the go event management. The gross sales total, an hour-by-hour sales chart, and percent of tickets sold are cleanly displayed in the app's event dashboard. Event planners can edit event information, ticket types, and even prices directly in the app. 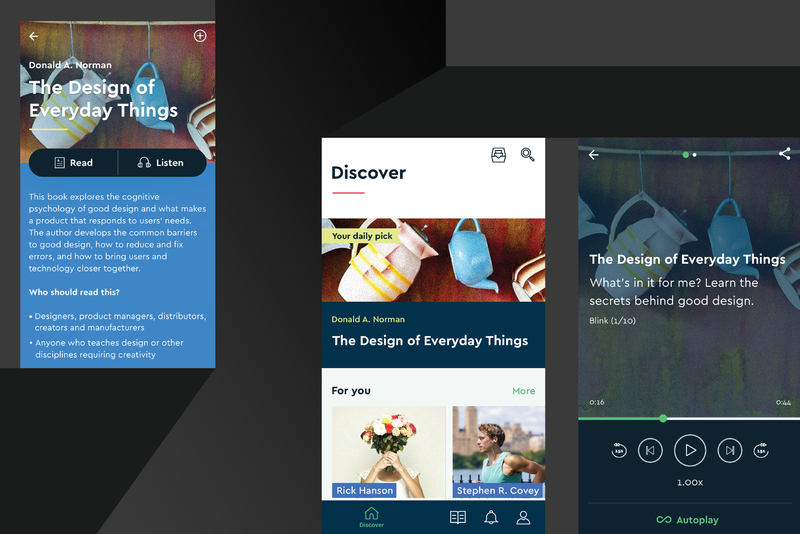 The multi-platform design allows NPR One users to consistently perform tasks in a way that feels natural for each device, whether it’s in your pocket, on your wrist, or in your car or home. Even the content feels adaptive, offering a programming range that gives users the option of getting caught up in just a couple of minutes, or diving deep into a topic of interest. Stories are well-organized, enabling targeted searching and casual discovery with equal ease. 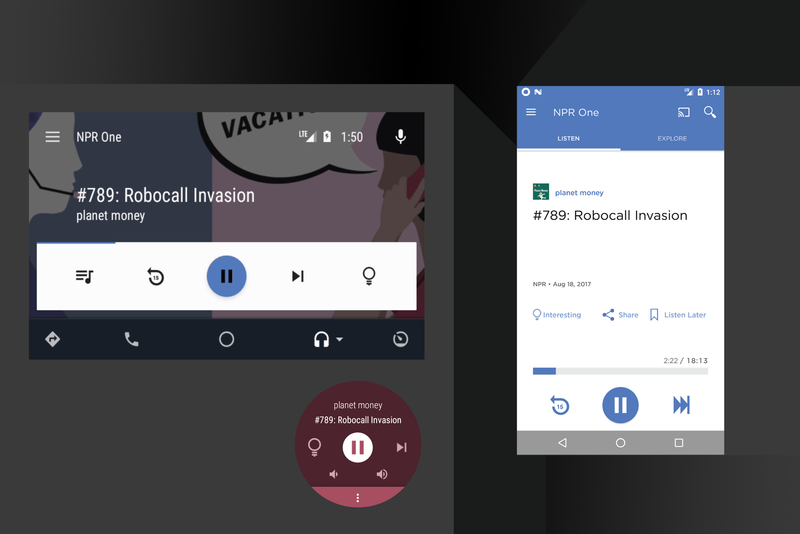 "Using Material Design, we've been able to effectively organize content across public radio and present it in a way that encourages serendipitous listening, while informing the public on local and national issues. It's an accessible experience that ensures public radio is available to everyone." NPR One makes listening to stories, shows, and podcasts from National Public Radio and local public radio stations a personal experience. Information for the same episode will appear different across different devices, with the UI adapting to tablet, smartwatch, or phone screens. 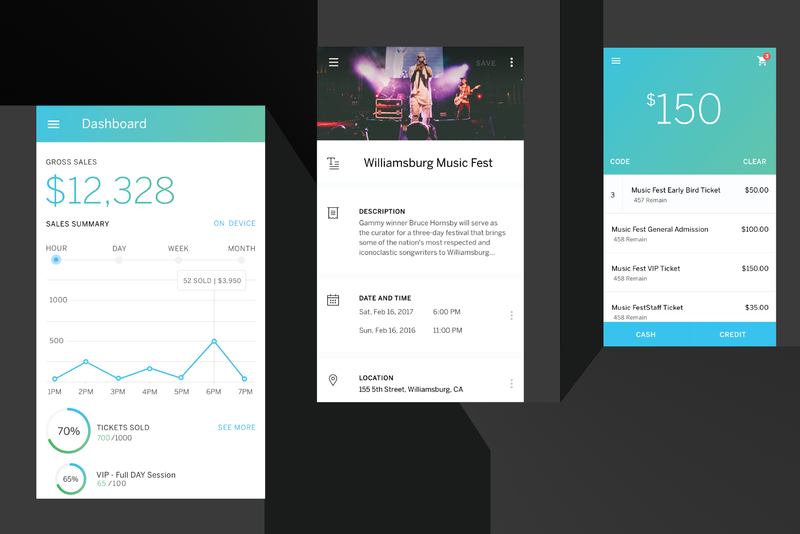 The momondo app shows how an experience can be true to the fundamentals of Material Design, but still push the components in inspiring new directions. Familiar elements take on new life with delightfully distinctive animations; even a loading state combines beautiful imagery with subtle use of motion. The cumulative result: A carefully considered interface that pleasantly encourages the user through a comprehensive search experience. "We’re constantly experimenting with our app’s design, taking advantage of Material patterns while maintaining a distinctively momondo style. Careful consideration is given to each feature, and designs are iterated relentlessly before anything ships." 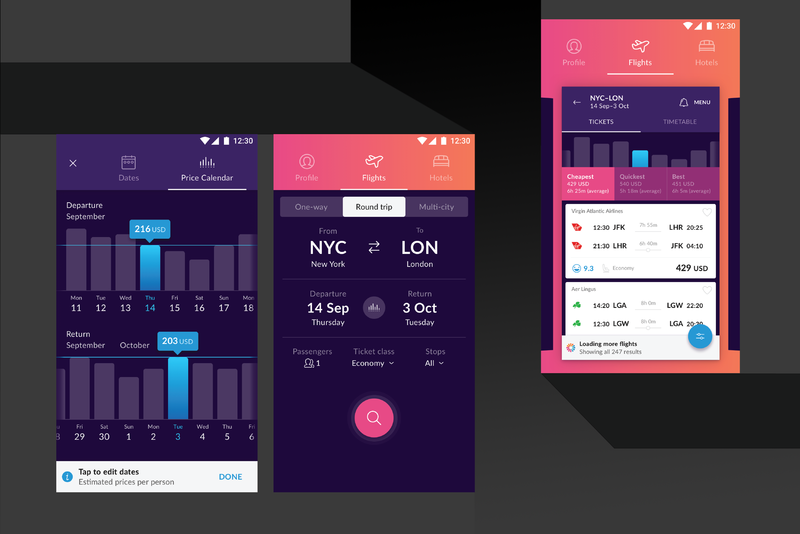 Momondo is an all-in-one travel app for finding, comparing, and booking flights and hotels. The selector for departure and return dates uses a bar graph to indicate price. The flights search page uses different sizes of type to create a strong information hierarchy. When viewing potential flights, selecting the FAB allows users to adjust their preferences.